On many occasions we have felt, what is the use of wearing a necktie. Here is Solar Necktie with some purpose. This Solar Necktie can house your cell phone and also charge your cell phone. Textile and Apparel, Technology and Management (TATM) of North Carolina State University has come up with an interesting application of Digital Textile Printing Technology to integrate Photovoltaic Thin Film Cells into Wearables. By using digital textile printing, TATM has interfaced the solar panels on the visually prominent face of the tie and created an unbroken pattern that gave the tie a formal wear appearance. The back of tie has a pocket to hold cell phone and 3.6V plug in to charge cell phone. However application of the solar panels to the tie made it difficult to tie the knot and clip-on type neckties are found to be more suitable for users. The solar necktie was tested for performance for a period of five business days, storage in a closet and found to be safe to use without any electric shock hazard. Also a visual inspection of the solar necktie after the test, revealed no degradation of the insulation. 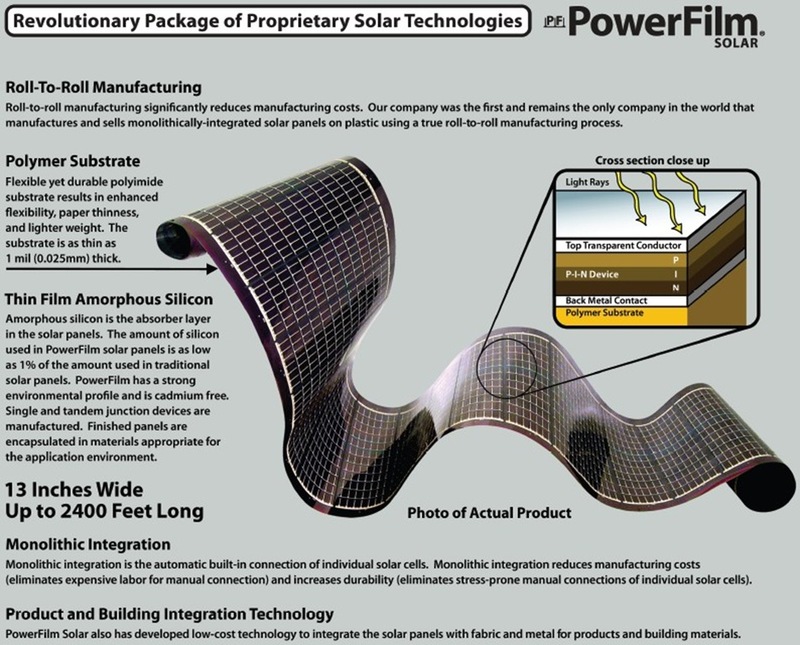 Here is a sketch of Photovoltaic Thin Film Cells available as a roll from Power Film Solar for use as wearables. 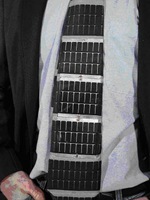 The photograph of the Solar Necktie shown is from JTATM. You can view more photographs and read more about Solar Necktie from the Journal of Textile and Apparel Technology and Management. An interesting video clip on how to tie a necktie is available here. What is Standard Marine Communication Phrases – SMCP ?